Chief Justice Patrick Grandcourt Kerwin of the Supreme Court of Canada was a decisive figure whose opinions on our highest court decades ago continue to shape our freedoms and lives today. 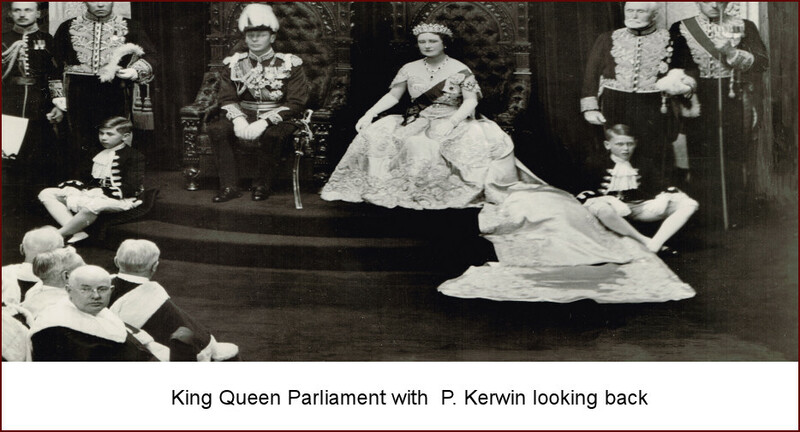 This story tells of Kerwin’s career and life, rising from humble beginnings to the pinnacle of his profession. His story is one of triumph: only eight years old when his father died, he entered the workforce while attending school. His pursuit of a successful and varied career in law paints a picture of an adaptable man with a strong sense of self-discipline and duty. 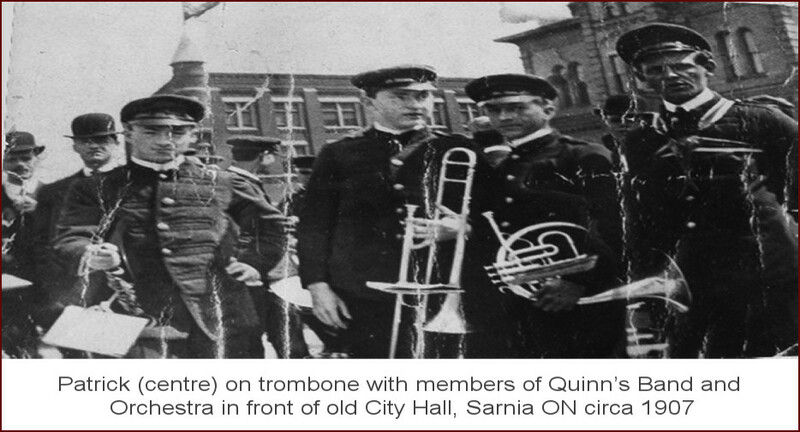 The book provides a glimpse behind the actions and decisions of a man whose professional life has affected all Canadians; a look at his origins, family life and the forces that shaped the man who in turn helped shape our lives. His rulings put a stop to governments using the cover of law to arrest citizens who published critical statements against the state – something unthinkable in today’s era of social media and unfettered freedom of speech. Today, we take for granted our right to purchase a property without fear of discrimination based on race, creed, colour, nationality, ancestry or place of origin. Yet, that freedom was not universal in Canada until a 1950 Supreme Court decision that outlawed real estate racism and bigotry. 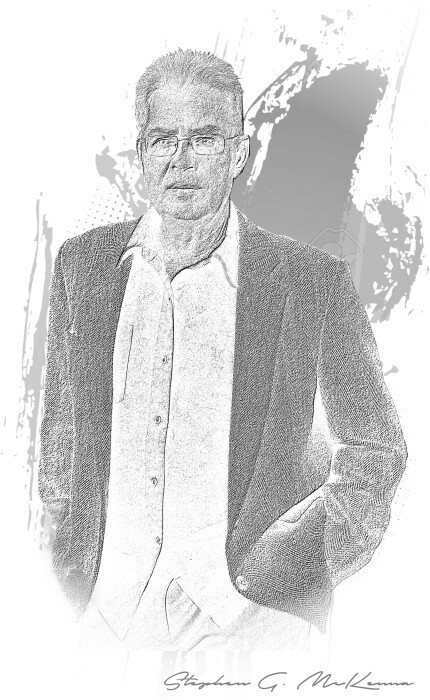 Kerwin was also an outspoken advocate on the right to a speedy trial – something that would not be enshrined in the Canadian Charter of Rights and Freedoms until 1982. 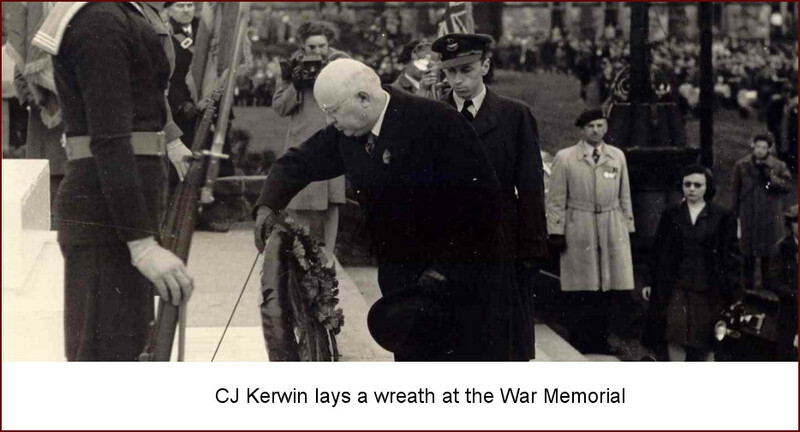 During his nine years as Chief Justice (1954-1963), Kerwin did much to expedite the court’s handling of cases. His strongly held view that “justice delayed is justice denied” is one that resonates today as courts struggle to reduce long backlogs and delays. Told from a personal point of view by his grandson, this tale captures the rhythm of life at the Court during his time and has elements that only a family member can provide. We hear about his rise to prominence but also about how this affected his and his family’s lives. Above all, he was a man whose commitment to public service encompassed, in the words of Governor General Georges Vanier, “grace and wisdom”. This is the story of a great Canadian who played a pivotal role in upholding the rights of all Canadians. 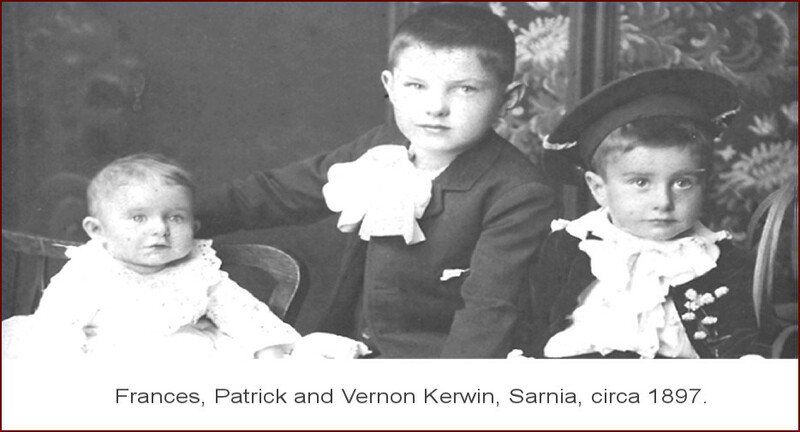 This biography began through an ongoing curiosity about my maternal grandfather, Patrick Grandcourt Kerwin. From my perspective as a child, he was a kind and attentive grandparent with a warm smile and gentle demeanour. My grandfather died at the age of 73, when I was only eight years old, but my memories, affection and interest in him continued. is as true today as it ever was. Chief Justice Patrick Kerwin speaking at the opening of the Superior Court of Québec Montreal, Québec, 1957.
in which its people could take great satisfaction. 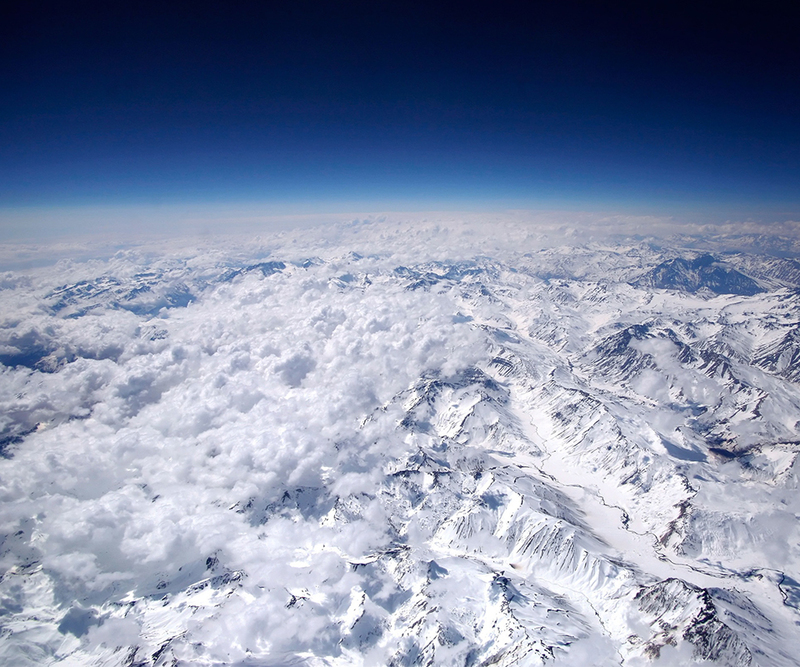 Law is not an exact science, but no stone would be left unturned that could possibly interfere with the best possible determination of the rights of man. Courts are Established to Settle Disputes. 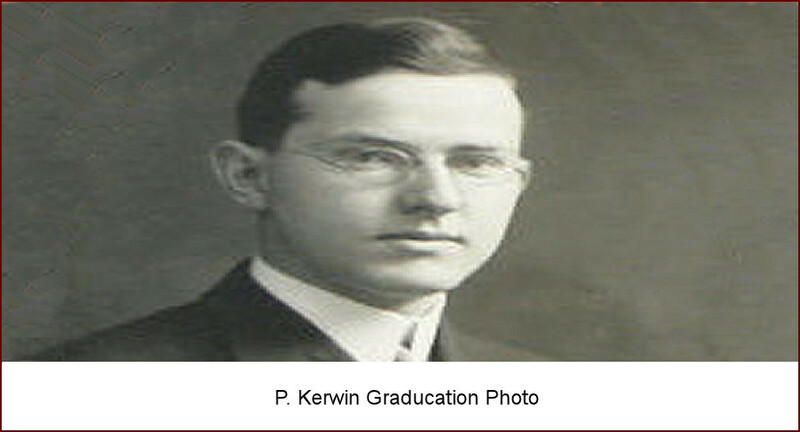 Justice Patrick Kerwin in an address to graduating students, Osgoode Hall, Toronto, 1950.
not merely what the professor knows, but they must be trained to think for themselves. Here is a link to an interview about the book with Giacomo Panico on the CBC Radio program, In Town and Out. Send review of the book to contact@chiefjusticekerwin.ca. The author of this biography undertook the task ensuring his grandfather’s story was captured for posterity. 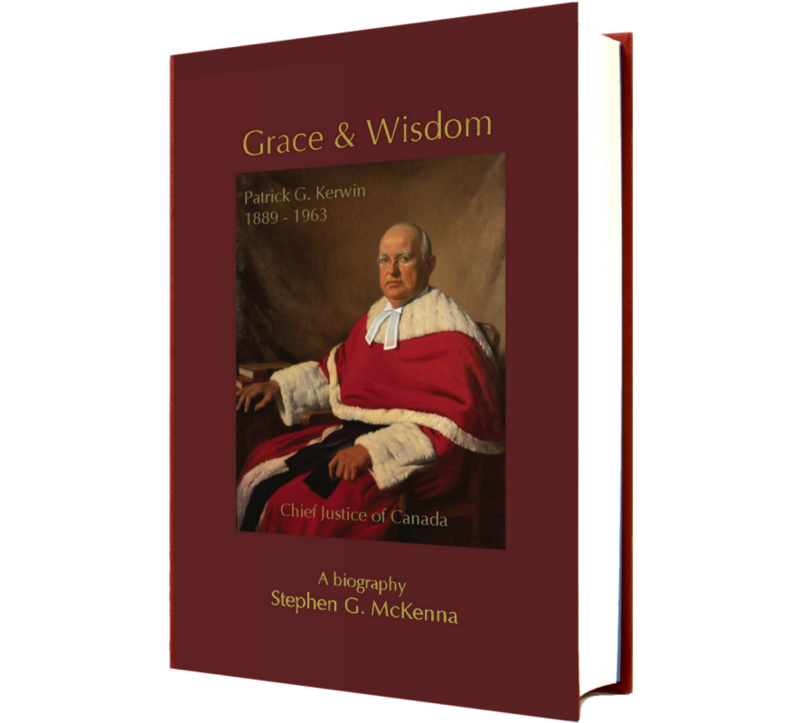 Having contributed articles to the media about his grandfather, Stephen continues to tell the story of a great Canadian in this book: Chief Justice Patrick Kerwin, a person who dedicated much of his life to the service of all Canadians. The tale is told about his maternal grandfather’s career and the life he lived with his family as he climbed to the pinnacle of his profession. Stephen has also brought the personal side of his storied life by including family anecdotes and pictures never before seen in public. With other stories to be told, Stephen will be publishing more of his work in the near future. 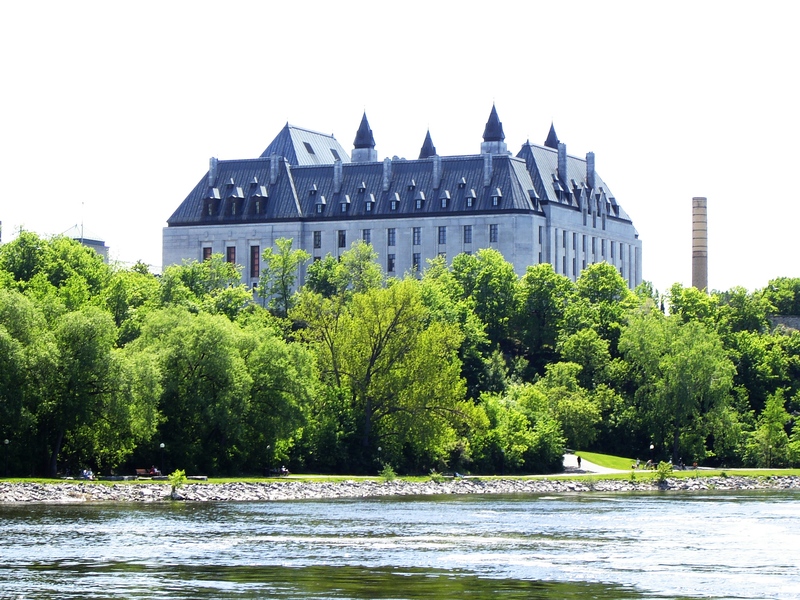 As an author, musician and producer living in Ottawa, Ontario, he has numerous interests, including writing, music, recording, research, and travel. I thoroughly enjoyed reading this book. It carried me along and I looked forward to picking it up each time. I learned a lot about the times (e.g., playing a piano at a movie theatre). I also enjoyed learning about the court system and legal cases/issues (e.g., I found your grandfather’s role in the Jehovah Witnesses case so forward thinking). I recognize how you skillfully covered topics that could have been covered in a way that was wildly tough/obscure/dull, and instead you presented things clearly and in a way that engaged the reader...your love and respect for your grandfather shone through. You illustrated why Mr. Justice Taschereau said on your grandfather’s passing: “…..it was my privilege to fully appreciate his great qualities of heart and mind”. Yes, your grandfather’s great heart and mind shone through. 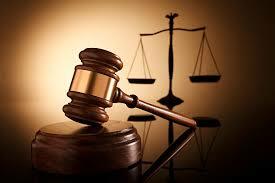 “…you cover in detail four quite distinct aspects of the life of the Chief Justice. First, you wrote about the Kerwin family down the years and of its social aspects so that one had a real picture of what Patrick Kerwin was made of and faced especially in his earlier years. 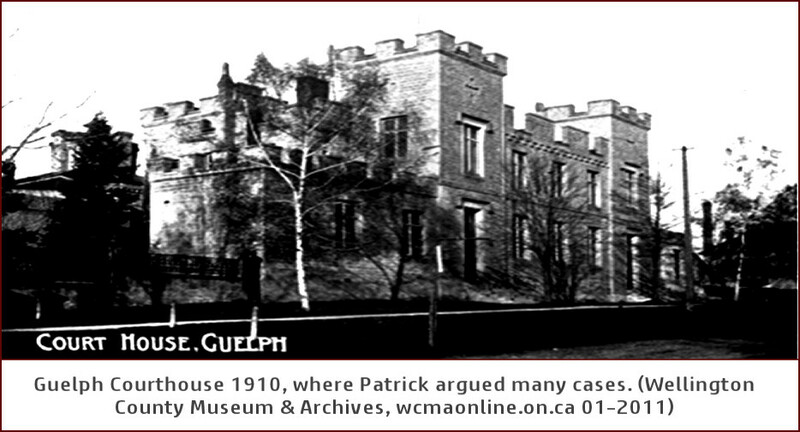 Next, you wrote the story of Patrick Kerwin, lawyer, judge at several levels in ‘local Canada’ so-to-speak, and then and finally in ‘all-Canada’, a very different venue altogether, as Chief Justice of Canada. 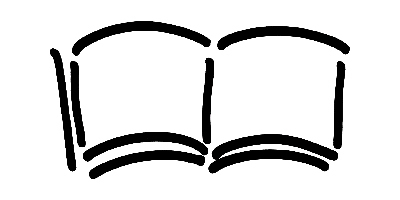 Then you set out in detail a number of the landmark cases in the judicial history of Canada and indirectly why they were such. 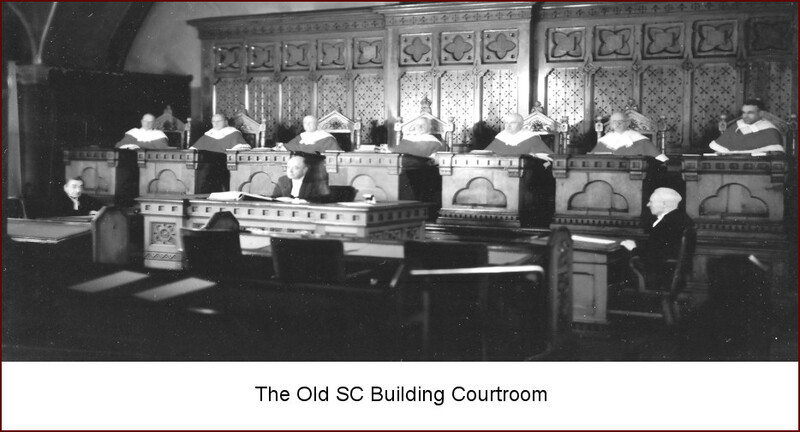 Your book shows how our highest court transitioned from one of contract/tort/commercial expertise to one wherein the Canadian as individual came to figure in a central way...the tone of fairness and sensibleness which Chief Justice Kerwin seemed instinctively to set marked the sessions of the Supreme Court of Canada. I will close with a wish: that Chief Justice Kerwin’s opinion that “law is made for mankind and not mankind for law” were better known amongst members of the legal profession, the bench and the public. Kerwin’s grandson (Stephen McKenna) has done an exemplary job of portraying the quintessentially Canadian Chief Justice: even-keeled, rigidly impartial, the soul of brevity in his opinions, a decent, quietly religious family man, with no publicly political axe to grind and an unassuming but deep devotion to high office. This biography is an unpretentious but proud family exploration, with legal and historical tangents. A truly enjoyable read for the general public and law students alike. 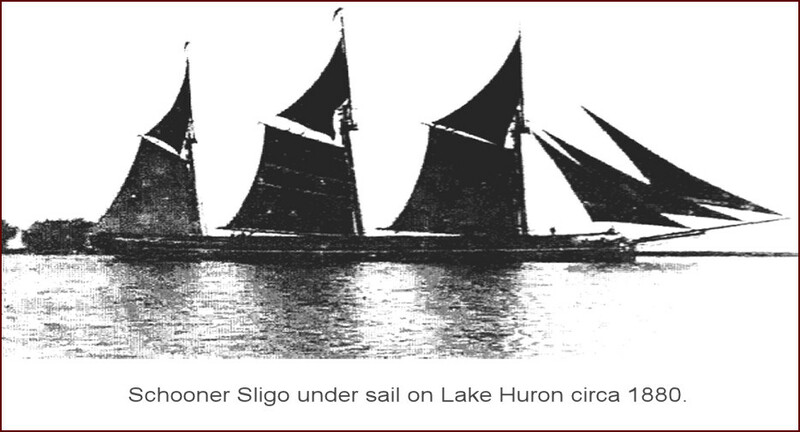 As an immigrant to Canada, Stephen perked my interest with the family history of Great Lakes Ship Captains' and the importance of the St. Lawrence in commerce in the building of this country. The story of a man of humble beginnings who in his early family days played piano (secretly) at 'silent movie' shows in order to make ends meet. 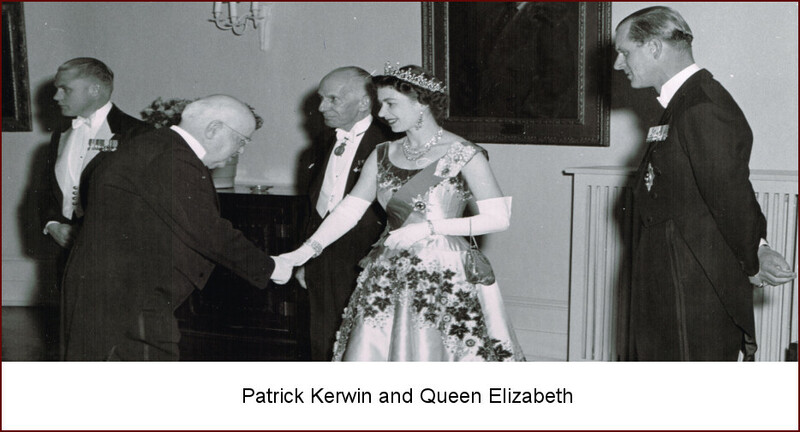 Deals with the essential creation of Canada’s legal system and the large role Patrick Kerwin played in it. At just 23 he was a full-named Partner and at 55 Chief Justice of Canada. "...it must be remembered that the law is a jealous mistress and demands of you, and all her devotees, an assiduous devotion to her cause. The common law is not static but develops from era to era...but that changing circumstances require you to seek to apply those principals to altered conditions...." Address to Students, Osgood Hall, Toronto, June 29, 1950.